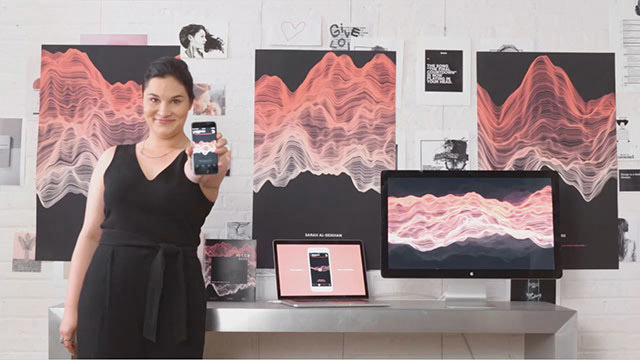 Announced at Adobe Summit, Adobe Experience Cloud breaks into three separate components — Adobe Marketing Cloud, Adobe Advertising Cloud and Adobe Analytics Cloud — that work together to give enterprise customers tools needed to deliver unique digital experiences. Other Adobe assets are also tied into the project, including Creative Cloud and Sensei, the company's machine learning and artificial intelligence technology. With Experience Cloud, Adobe is entering a hotly contested space dominated by mature firms like Oracle, IBM and other big names, each of which already markets their own set of enterprise toolsets. Looking to set its solution apart from the crowd, the firm is looking to concentrate on end user experiences, according to a press release posted online today. Part of Adobe's strategy is to deeply integrate Creative Cloud, its ubiquitous professional design platform, into new tools. For example, enterprise customers can craft interactive, personalized marketing campaigns by pulling Creative Cloud assets from Photoshop CC, Dreamweaver CC, Illustrator CC and InDesign Server into Marketing Cloud. Integrations also include graphics and other assets from services like Adobe Stock and Adobe XD. Adobe is touting its Advertising Cloud as the first end-to-end platform for managing advertising campaigns across TV and digital. Previously part of Marketing Cloud, the breakout product relies on Adobe Media Optimizer and the recently acquired TV ad firm TubeMogul to plan and deliver video, display and search advertising across multiple screens. This branch serves as a solution for planning and accomplishing ad purchasing, including programmatic buys, measuring campaign effectiveness, create optimizations with Creative Cloud and more. Adobe Analytics Cloud is another new product that combines data management platform Adobe Audience Manager and real-time, cross-platform marketing analytics tool Adobe Analytics. Analytics Cloud builds in a number of technologies like a new standardized data model, as well as newly revealed partnerships under Adobe Exchange. Of note, Adobe is expanding its partnership with Microsoft to include collaborative analytics support with Microsoft Azure, Microsoft Dynamics 365 and Microsoft PowerBI. As for Sensei, Adobe is positioning the AI and machine learning technology as an intelligence layer in its various cloud-based offerings. Applied to Experience Cloud, Sensei bakes in more than 100 capabilities including Alerts, Automated Advertising Insights, Anomaly Detection and Lookalike Modeling. Three new abilities were announced today, including Fluid Experiences for cross-platform content delivery, Auto-Target for content personalization and Enhanced Anomaly Detection and Contribution Analysis for statistics analysis. Adobe will be showing off its new enterprise platform in two keynotes scheduled for March 21 and 22, both of which will be streamed live via the company's website.